Today during E3 in Los Angeles, Lenovo announced six new Legion branded gaming products. There are two new notebooks – three if you consider one of them is available in two sizes -, 2 desktops (Towers) and 2 Cube products. As there are a lot of things to digest, this article will be a brief summary of what is announced. I am a notebook fan, so of course I will concentrate on the notebooks that have been announced. I even wrote a separate article just about the notebooks, so check that out if you want all the details. This summary article has some details about the desktops and I also uploaded some galleries. As a special extra: at the end of this article is an interview with Lenovo’s Teddy Lee, who is Senior Manager Product Marketing, Lenovo Gaming PCs. The Y530 and Y730 notebooks look nothing like their predecessors. Both received a major redesign, and look stunning in my opinion. The new design makes them look less like fancy gaming machines, and can fit easily into the professional notebook crowd. 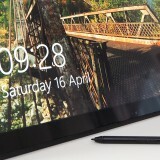 The screen bezels have been massively reduced (just 6mm on the Y530! ), giving a new, sleek look for these systems. The thermal cooling solution has been redesigned as well. The new Legion notebooks look very clean and slim. 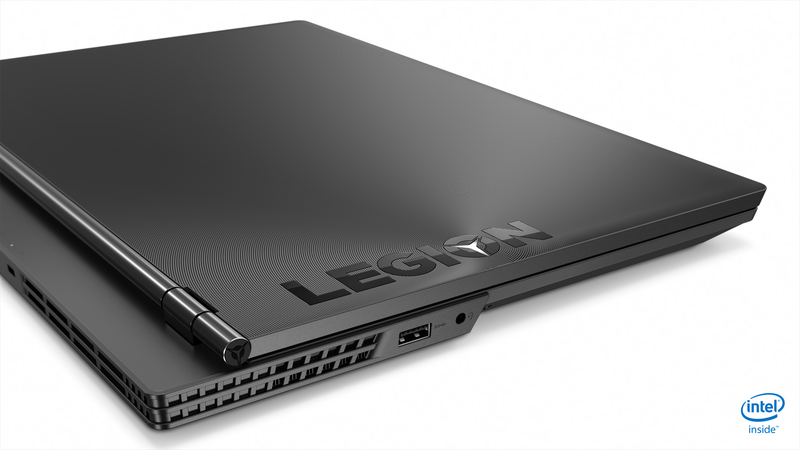 The Legion Y730 gets a full aluminium treatment for its chassis and is lighter and stronger than the Y530. 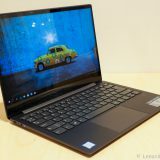 No material has been mentioned for the Y530, but I would think it uses plastic, just like its predecessor, the Y520. This is not necessarily a problem. 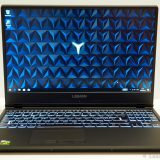 My Legion Y520 (that I also reviewed) feels very well built. 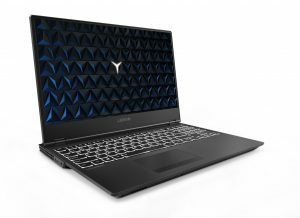 So I hope the Y530 gets the same high quality treatment. 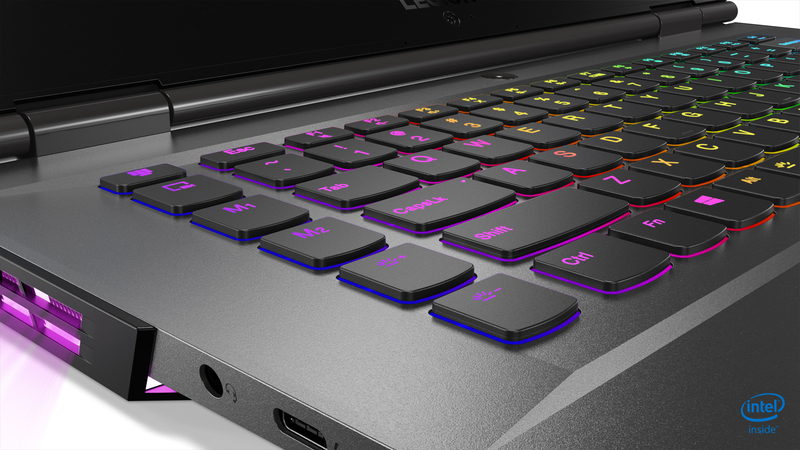 The Legion Y730 is also equipped with an RGB keyboard and RGB lights around the vents. 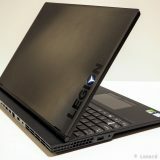 The Legion Y530 only gets white backlight for the keyboard, and no lighting for the airflow vents. 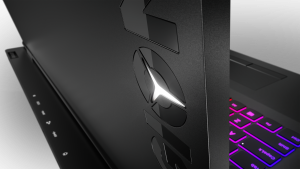 Dolby Atmos support and a Dolby designed speaker system can be found on the Legion Y730 , although the subwoofer is reserved for the 17 inch model this time around. USB Type-C is present on both, but only the Y730 gets the Thunderbolt 3 port. 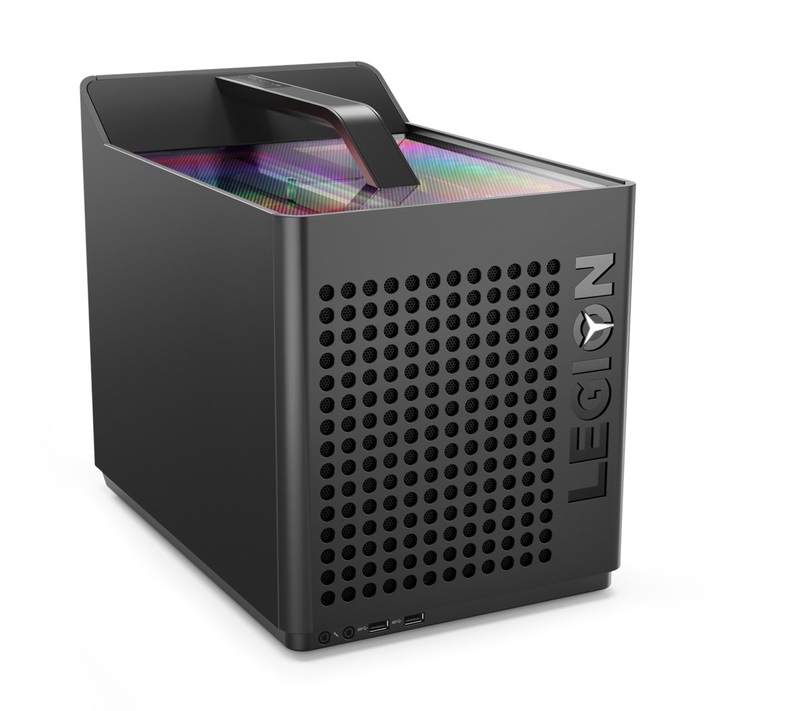 It would seem the Legion Y9xx series gets discontinued, with the Y730 taking its place. The Y730 has now two versions, one with 15″ screen and one with 17″ screen. All notebooks have been updated to use next generation Intel Coffee Lake CPUs. You have a choice between the 4 core i5-8300H and the 6 core i7-8750H (which also has hyper threading for 12 threads!). The notebooks come with 8, 16 or 32GB of RAM. 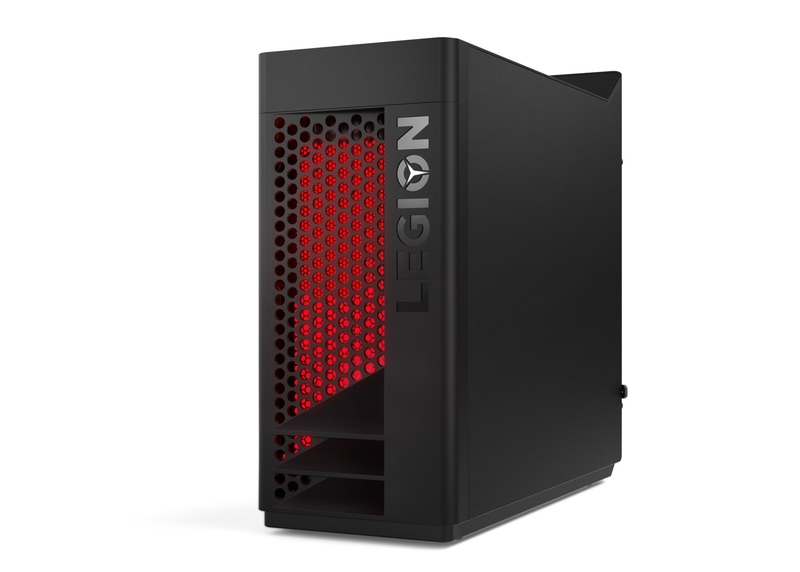 The Legion Y530 will be available in June 2018 with a starting price of $929.99. 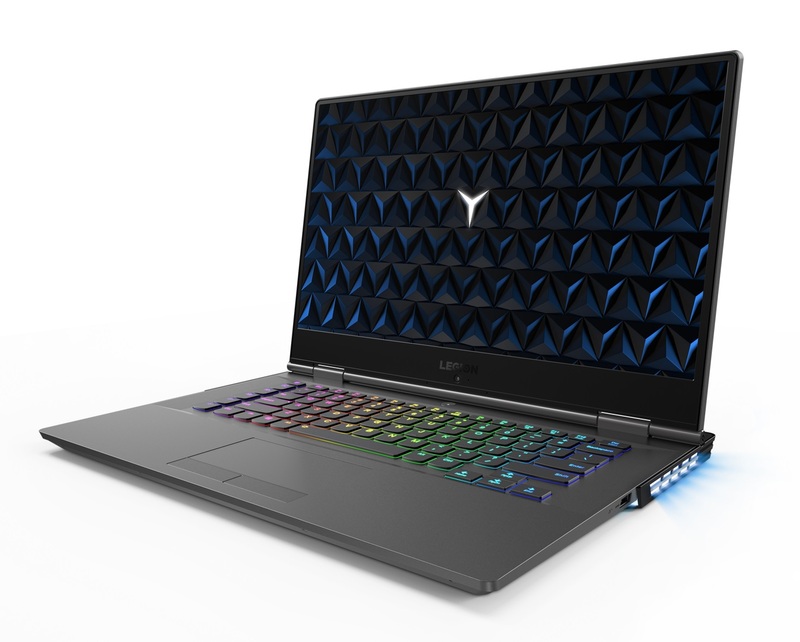 The Legion Y730 will be available in September 2018 with a starting price of $1,179.99 for the 15-inch and $1,249.99 for the 17-inch model. Lenovo also announced the Legion T530 and T730, “Tower level” gaming desktops. They are both available with NVIDIA or AMD graphics and offer plenty of options to choose from, and plenty of performance for gamers. 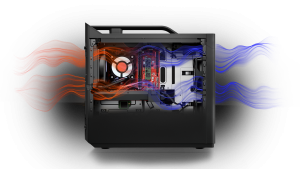 I have left the world of desktops for many years now, but it’s interesting to see what goes on in this segment of the gaming PC market. The two systems look almost identical on the outside. The dimensions are the same, while the T730 is a little bit heavier (11 vs 12 kg). The similarities end when you turn up the lighting systems (that are mandatory on gaming systems): The T530 has a red lighting system, while the T730 gets an RGB lighting system. Both systems offer a tool-free access to the internals, so any upgrades you might want to do are possible without looking for a screwdriver. Both Towers get 8th generation processors. 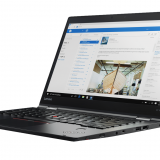 The T530 starts at an i3-8100 processor while the T730 starts at the i5-8400 CPU. The T730 goes all the way up to the i7-8700K processor, which makes it better suited for the overclocking crowds. The T730 is also available with overclocked Corsair Vengeance memory. GPU wise you can choose from a wide array of cards. The T530 gets NVIDIA GTX 1050 and 1060 cards alongside AMD Radeon RX 560 and 570. The T730 only gets the higher end cards of both manufacturers. Speaking of graphics, thermal systems are very important with gaming systems. 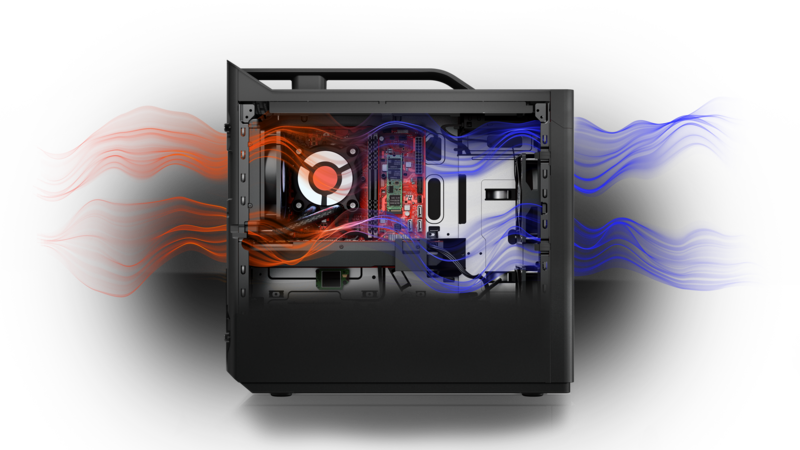 The T730 supports an optional liquid cooling system to dissipate the heat produced by the GPU and CPU. Making it more silent than the fan powered cooling solution. 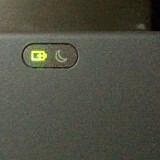 Storage options are varied with SSD and HDD combinations. Both systems are also VR ready. Check out other pictures of these in my gallery of press photos for the two systems. The T530 and T730 will be available in August 2018. 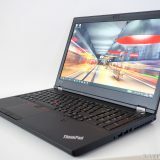 Starting price for the T530 in the US will be $829.99 and the T730 will start at $929.99, without taxes or shipping. Lenovo also has another desktop category they call Cube. 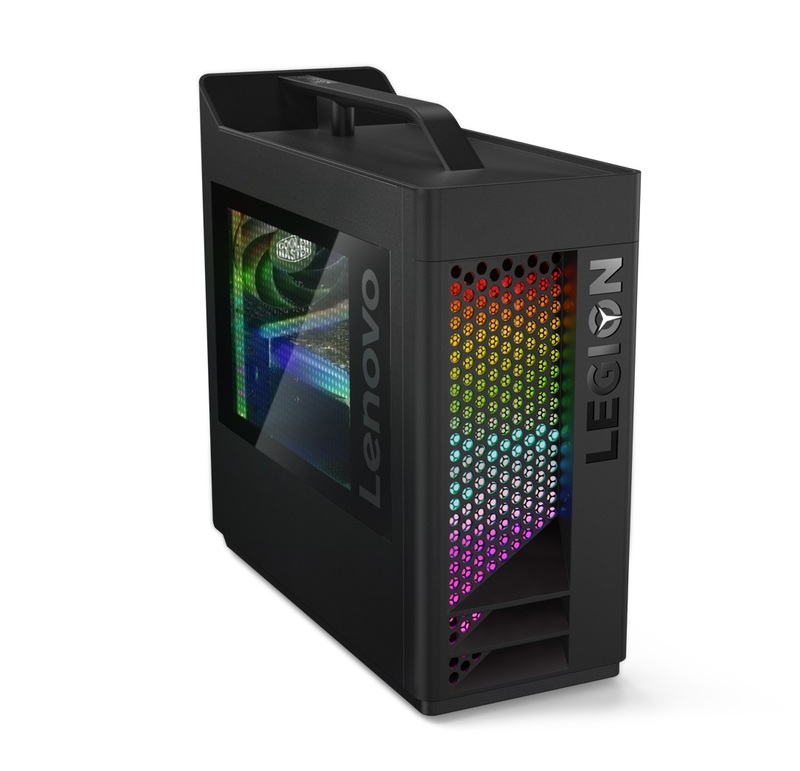 It is a portable desktop, that is not quite as large as the bigger Tower models. Lenovo promises the same performance as the Towers, but in a smaller space (and less upgrade/extension options). 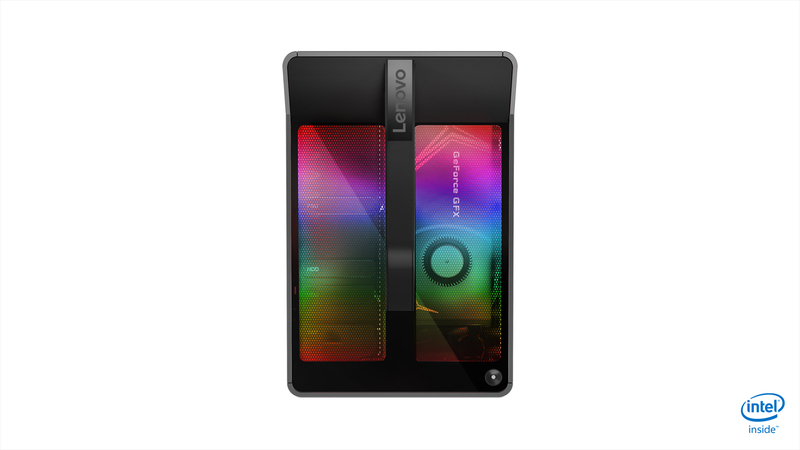 The Cube design offers a carrying handle, and Lenovo advertises that you can carry it to any room in your home. The Cube is intended to be something in between the notebook and the full on Tower (which you obviously will not drag around the house). If I would ever consider a desktop, it would probably be the cube. While maybe not as full featured as a Tower, nowadays I very much prefer my mobility. For this reason the Cubes are a nice little self contained package, that are not too difficult to drag around, should you need to. The Legion Cubes are offered in two versions: the Legion C530 and the C730. The two models are exactly same sized on the outside. Both get a lighting system. 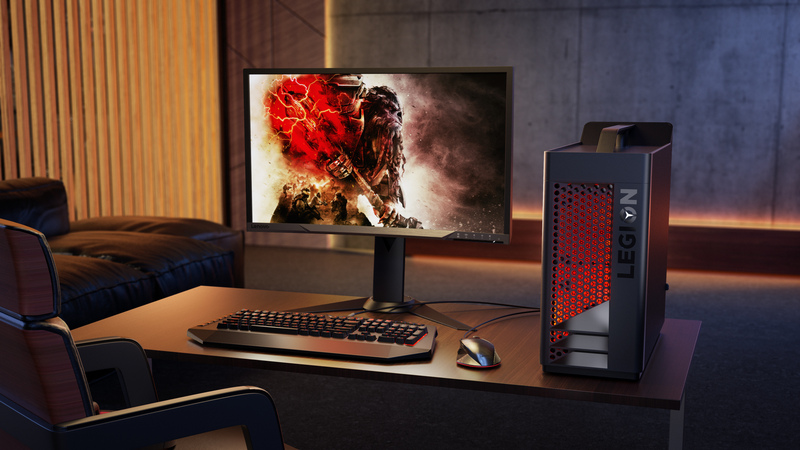 While the Legion C530 only has red lights, the Legion C730 gets the full RGB lighting treatment. From the outside I have a difficulty saying which model is which. The differences are more on the inside of the systems. Both use Intel 8th gen CPUs. The C730 gets the higher end i7-8700K CPU as an option. Both can be get with NVIDIA GeForce GTX or AMD Radeon RX GPUs. The exact dimensions are also the same. At least on paper, they are very similar – I wonder if the pricing will reflect this? Storage options for the C530 includes up to 256GB of M.2 SSD and up to 2 TB HDD. The C730 comes with a maximum of 512GB of M.2 SSD and 2x2TB of HDDs. Because both systems are advertised as being upgrade friendly, and no tool required for updates, if you change you mind later it should be n problem adding more storage to either system. Both systems can be fitted with up to 32GB of RAM. 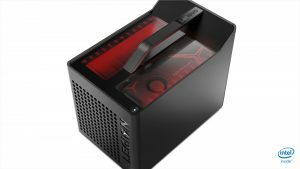 Lenovo also says the Legion C730 can be bought with overclockable Corsair memory – but you will have to wait a little for this one. 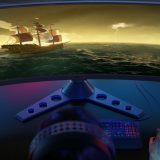 The OC option will only ship later in Q3 of 2018. Dolby Atmos comes with both systems. The C530 and C730 will be available in August 2018. Starting price for the C530 in the US will be $829.99 and the C730 will start at $929.99, without taxes or shipping. 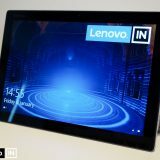 Here is a mini-interview with Teddy Lee, who is Senior Manager Product Marketing for Lenovo Gaming PCs. Teddy was kind enough to answer some of my questions regarding the gaming line of products at Lenovo and about how they design these products. What game does the Legion design team play the most currently? Can we find you online in games? Currently, PUBG is a team favorite. Rainbow Six Siege is another one. In fact, we’ve recently teamed up with Ubisoft as the official PC and monitor sponsor of Rainbow Six Siege Pro League and Majors, so that’s a partnership we’re really stoked about as well. If you consult outside “gamers” (big name players from eSports), what kind of influence they have on product design and features? Engaging with our gaming community is really important to us because it lets us hear users’ feedback and gauge what matters most to our customers. 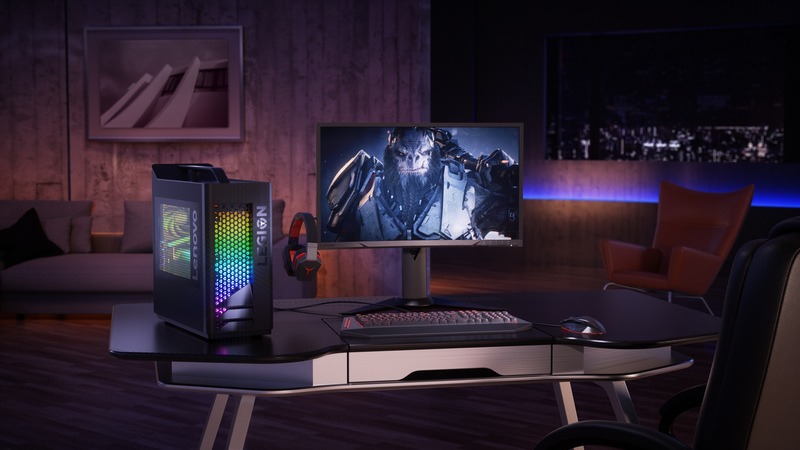 We conducted a lot of user research and ethnographic studies with gamers around the world, including esports players, to inform how we’d evolve the latest generation of Lenovo Legion devices. The gaming community’s feedback and insights have been instrumental in our design and development. We found that lots of gamers who have been avidly gaming for years do a lot more on their PCs than just game. And as a result, they need a PC that’s a lot more modern and sophisticated looking than the flashy and aggressive designs you sometimes see – something that wouldn’t draw unnecessary attention at work for example, but would still give them next-level gaming performance. That’s a customer insight we took to heart in developing the latest line-up. You have both desktop and notebook gaming systems. Has the demand for the two kinds of systems been stable or does it change often which kind of system gamers prefer? Both are stable and growing. Our goal is to provide more choice to the avid gaming community that meets their gaming requirements and lifestyle. 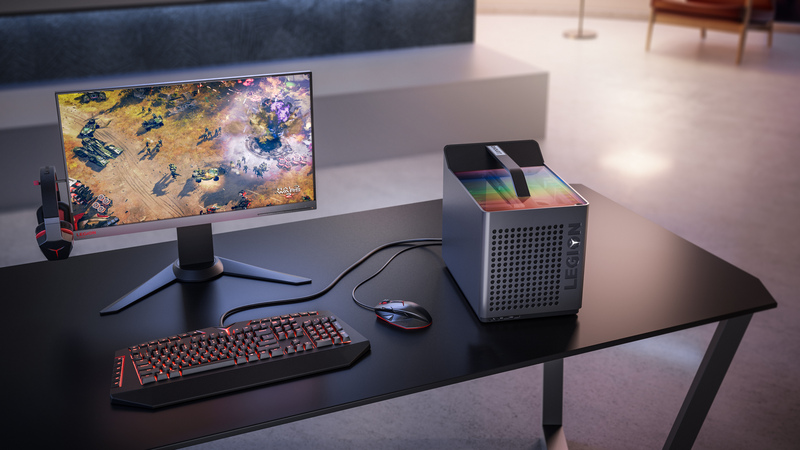 And we think the latest generation of Lenovo Legion laptops, towers and cubes will hit the mark. I prefer gaming notebooks myself, so the next question relates to these. Is designing a gaming notebook different from designing a regular notebook with powerful hardware? 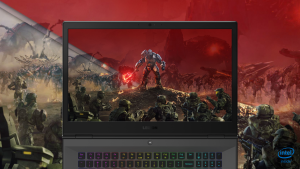 The challenges for gaming laptops are in its overall design ecosystem, which includes both hardware, drivers and software. Its highly compact and thermal requirements also make it challenging. Most of the manufacturers are creating gaming systems today. How do you feel the Legion brand is distinguishing itself among the competitors? First is the new design aspect I talked about earlier in how we’re evolving the new Lenovo Legion line-up to cater to modern, avid gamers. That means we have a distinct design language that’s cleaner, sleeker and more sophisticated than a lot of other gaming brands out there. 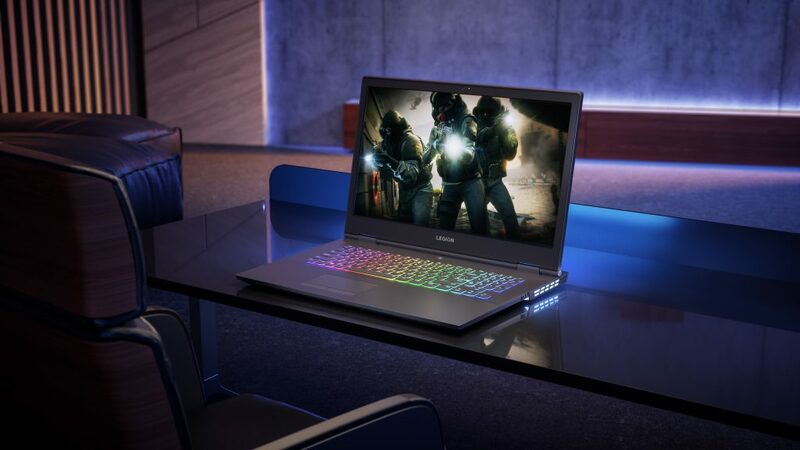 The idea is that a gamer would be able to take their Lenovo Legion Y730 Laptop to a business meeting just as easily as they’d be able to play a graphically intensive game on it at home. Our motto is ‘Stylish on the Outside, Savage on the Inside.’ The second aspect is our sense of community. 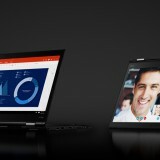 In fact, the name Lenovo Legion itself was first crowdsourced from our first community members. Listening to what gamers want is a crucial part of our product development cycle. We actively invite the community to share feedback and the result is a sense of co-creation that happens between our teams and those we create for. Legion hardware has been VR ready, but we have yet to see a Legion branded VR product. Do you think such a product could happen in the future? For example, a Legion Headset? We have a broad range of augmented, virtual and mixed reality products from Star Wars: Jedi Challenges AR to Mirage Solo with Daydream standalone VR to the Lenovo Explorer immersive headset for Windows Mixed Reality. As for a Lenovo Legion branded headset in the future? We won’t rule anything out! 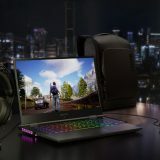 Gaming notebook customization is available in the US, but not yet in EU. Can you comment if this feature will be rolled out world wide? 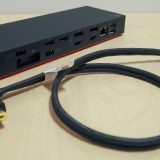 We can already customize ThinkPads [in Finland] and it would be awesome to have some options to customize the gaming systems as well. 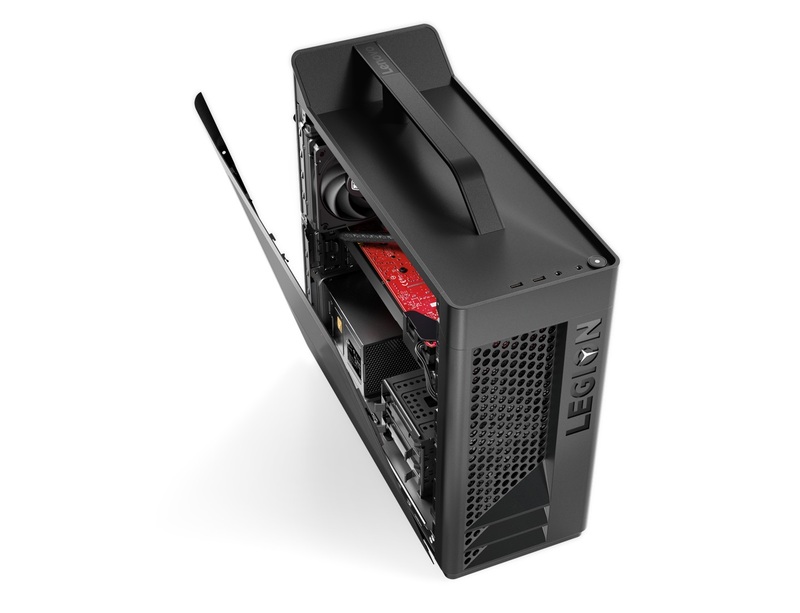 Our Lenovo Legion designs offer easy upgradability so you can swap out memory, storage, GPU, etc to your liking. We’re starting with offering customization to a few markets and will expand over time. Why are there no touch panels available on the gaming systems (not even as an upgrade)? Is there no demand for such? Based on our research and gamers’ feedback, a touchscreen isn’t something they value as much as a clearer and brighter panel with thinner bezels. So we built in an optional 144Hz FHD IPS display that’s brighter at 300 nits on the new Lenovo Legion Y730 Laptop and Y530 Laptop. The result is an immersive, visual experience tuned to our gamers’ preference.